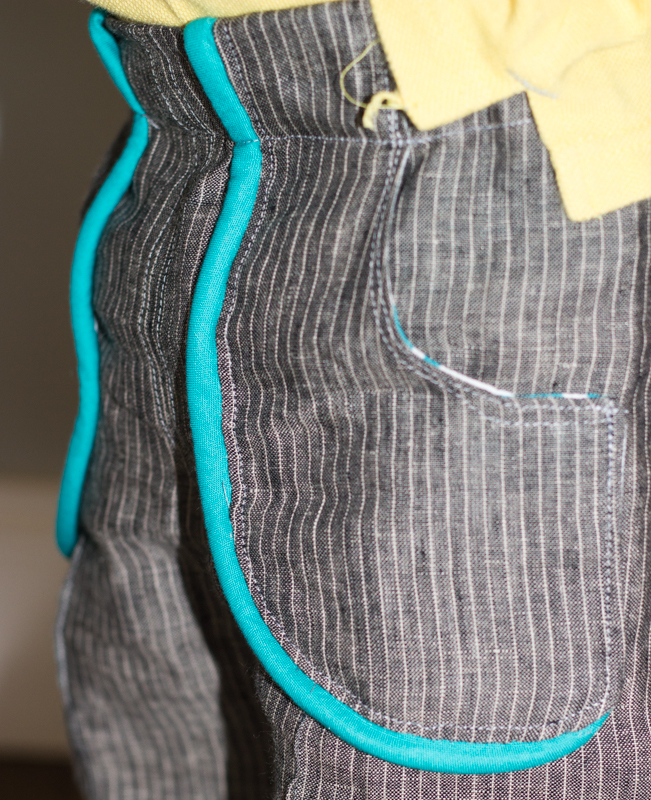 I am in the process of pattern testing an amazing pants pattern for Rae. I don’t want to share too much of this pattern yet before I’m done tweaking various things, but I wanted to enter this pair into this week’s Project Run and Play: It’s all in the details theme. I just think that these pants perfectly fit into that theme since they are full of fun, little details. 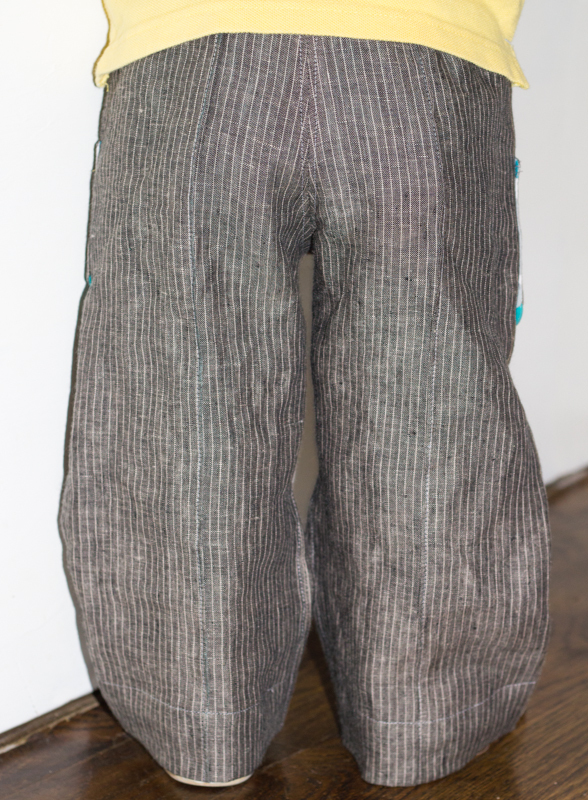 Pants are made from a black pinstripe linen fabric that I have been saving for the perfect pants project. 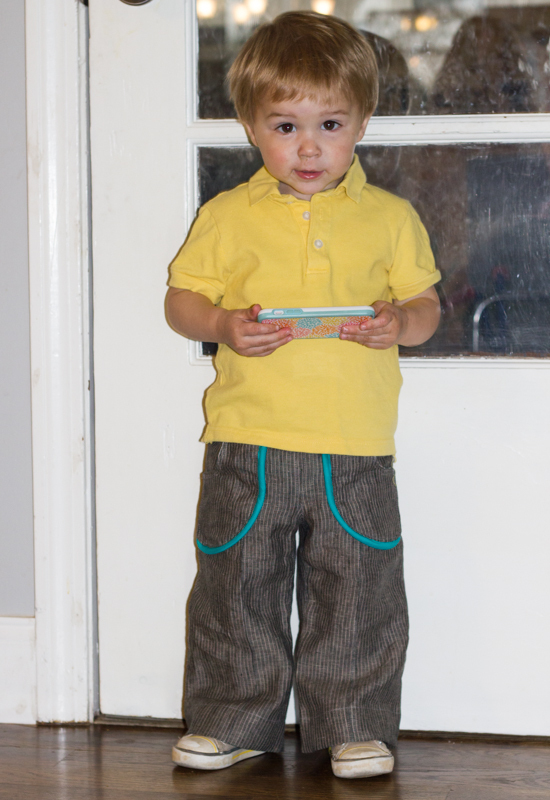 This entry was posted in Kid sewing and tagged linen pants, parsely pants, pintuck pants, project run and play by oliver's fancy. Bookmark the permalink.